Wheal Martyn will be hosting an Inclusive Dance Festival on Friday 7th April from 3.00-4.00pm. 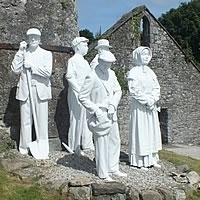 Shallal2, a community performance group based in Falmouth, inspired by the china clay museum at Wheal Martyn will be performing. The performance will commence at 3.00pm, and is FREE of charge.